Felsers Chartered Accountants was founded by Gerhard Felser, a wartime refugee who immigrated to Australia in 1941 and built a thriving practice helping German-speaking entrepreneurs to start and grow profitable businesses here. By the 1970s, most of our overseas clients were German companies who had established sales offices in Australia for machinery and capital equipment, predominantly in the construction, engineering, chemical and communications industries. The profile of a typical foreign-owned business in Australia has changed over 40 years, but one thing still holds true – the need for any overseas business coming to Australia to do its homework first. This involves a comprehensive market study, careful selection of personnel, business structure and on-going monitoring. Business associations can be of valuable assistance in these areas. Similarly, the need for an Australian accounting firm familiar with overseas business requirements is as important as ever. Financial Reporting – Apart from written advice and financial reports, we use Business Intelligence software to provide more easily understood reporting of financial results, using charts and graphs that consolidate accounting data from different countries, currencies and softwares. Our valuable partnership with international business organisations continues to build on Gerhard Felser’s original philosophy of collaborative international partnerships. Accru Felsers relationship with the German-Australian Chamber of Commerce dates back to 1977. Read more about Accru Felsers German partnerships in the 40th anniversary issue of the German-Australian Business News and more about Accru Felsers history here. As our client base has become more Asia-focused, we have developed partnerships with the Australia-China Business Council, the Australian Tamil Chamber of Commerce and Dearin & Associates who provide valuable assistance for businesses expanding in the Asia-Pacific. 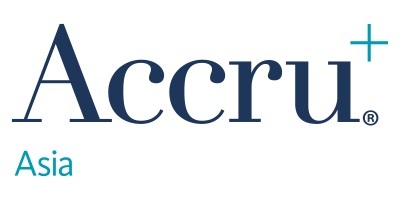 Please don’t hesitate to contact one of Accru Felsers’ Asia specialists with any business enquiry you may have in the areas of taxation, audit, outsourced accounting, reporting and wealth management. By Steven Zabeti, Accru Felsers Chartered Accountants. 2nd China International Expo: should Australian businesses attend?